​Nolan Arenado to the ​Yankees? Don't sleep on it. According to Andy Martino of SNY, ​Arenado could be the real third base target for the Yanks amid this Manny Machado smokescreen. 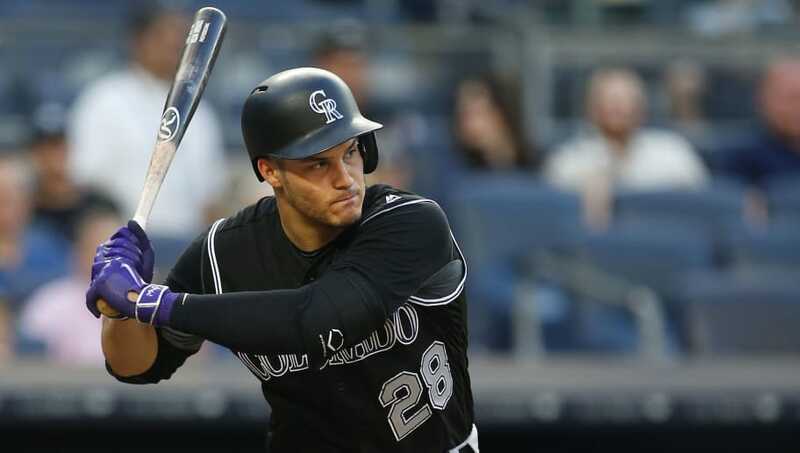 Nothing has been confirmed, but a source of Martino's has it on good authority that GM Brian Cashman has discussed the possibility of acquiring Arenado, either at the end of the season or as a deadline trade option. Arenado and the Rockies are currently heading to an arbitration hearing after not agreeing to terms on a deal. The 27-year-old third baseman is asking for $30 million in his final season before hitting the free agent market, while Colorado has been firm with their $24 million offer. The Rockies would obviously love to retain the four-time All Star's services, but a ​contentious arbitration hearing could be ominous for any designs they have on locking him up long-term, a prospect that isn't looking strong at the moment. If the Rockies know it will be tough to keep the six-time Gold Glove winner, they'd be better off dealing him soon, as even the best players lose value when teams know they will only be one-year rentals. The centerpiece of a deal would most likely be Miguel Andujar, who could replace the empty spot at the hot corner for Colorado going forward. In 156 games for the Rockies last season, Arenado hit .297 with 38 home runs and 110 RBI. He is widely regarded around the league as a low-maintenance superstar and a "gamer." Of course, he's a year older than Manny Machado and little bit less of a sure bet going forward due to the Coors Field factor, if Yankee fans wanted to take this as more "kick the can down the line" bad news.